The debut single of Ejiro has finally been released. The Song, which was released on her birthday (April 11), summarizes God’s faithfulness and Supernatural Grace upon her life. 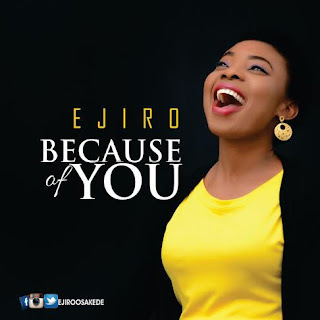 The song titled Because Of You is a very simple song and was carefully and professionally written and produced by Hosanna Dare Akinwande (Hosawkins).